Mineral therapy offers a hope for autism children, their families, as well as the entire human race threatened with plagues of chronic and infectious diseases. They say “you are what you eat,” but many people in the first world are having an identity crisis because no one knows what to eat anymore. So much conflicting information is being disseminated to the public and this is true also in the vitamin and mineral supplementation area as well as in chelation and medicine itself. In chelation (heavy metal Detox) we have a line up of synthetic chelators competing against each other as well against their less toxic natural chelation brethren. Competing theories have polarized chelation and medical practices leaving a wake of confusion among parents seeking safe and effective treatment for themselves and their children. Thus it serves us to go back to the basics of life and health for secure answers that we know will work no matter what anyone says or thinks. When we examine the beginning of life and go back to the very first single cell, with its specific mixture and balance of nutrients, we find the mystery of the spark of life. What we find in the very structure of life is a fine balance of minerals that are absolutely essential for cell creation, growth and function. It is basic to cell physiology that a complete spectrum of minerals is present to metabolize 100% of the amino acids and vitamins consumed. When critical minerals are missing or represented in deficient amounts, our bodies fail to optimally metabolize and convert essential nutrients into energy. Minerals are the building blocks of our bodies. They are required for body structure, fluid balance, protein structures and to produce hormones. They are a key for the health of every body system and function. They act as co-factors, catalysts or inhibitors of all enzymes in the body. For years the supplement market has been dominated by vitamins, but vitamins and amino acids are useless without minerals because all enzyme activities involve minerals. Minerals are very important for human survival. Our bodies are composed primarily of carbon and water but we need several other things in order to survive like vitamins and minerals. Some of the important minerals that we need besides magnesium are selenium, iron, iodine, copper, calcium, zinc manganese, chromium and potassium. Without these minerals our bodies are not be able to regulate themselves properly. Unfortunately modern processed foods are terribly deficient in minerals and the medical establishment does not want you to know about it for a population properly nourished with minerals would be a much healthier population meaning there would be a lot less money to be made by doctors and pharmaceutical companies. In mineral therapy we understand that certain minerals are both the cause (when deficient) and cure of many diseases. In the absence of certain trace minerals, various heavy metals are more likely to accumulate. Minerals create safety buffers against toxic metals. The dynamic equilibrium that takes place with liquid ionic minerals and trace minerals in healthy blood plasma, lymphatic and cellular fluids is the same basic balance that is found in sea water. The molecular mystery of cell life and human blood plasma happens to be mirrored almost exactly in the mineral composition of sea water. Sea water contains the full spectrum of mineral salts in the ratio we need. Thus we can expect to find medical miracles to occur quite commonly when we employ the healing qualities of minerals provided by the sea. The form of the minerals we take is mission critical to the healing effects we are looking for when we or our children are suffering from their deficiency. When minerals are consumed in proper ratios they have a profound effect on human health. The late French scientist Dr. Alexis Carrel kept a chicken heart alive for over 27 years by having the pulsating heart in a solution of isotonic seawater. Dr. Jacques de Langre, in his book, Seasalt’s Hidden Powers, states that naturally and properly sunshine-preserved sea salt is the difference between life and death, health and illness, social sanity and planetary panic and its elements are vital for proper body functions. In addition, he states that the pure, natural, hand-harvested ocean salt helps to maintain life, neutralize toxins and detrimental bacteria, and enhances all our organic functioning. There is nothing the body cannot do when given the right nutrients. Pure sea salts should contain around 92 essential minerals; however, all refined common table salts contain only 2 elements, sodium and chloride. In June of 2006, citing increased risk of hypertension, heart diseases and stroke, the American Medical Association issued a call to have salt removed from the “generally recognized as safe” food ingredient list. Citing increased risk of these chronic diseases, the American Medical Association issued a call to have salt removed from the “generally recognized as safe” food ingredient list. But what the AMA is too dim-witted to say is that it is the highly processed table salts that are poisonous to human health, not real whole sea salt with all the minerals still intact. The form that different minerals take plays a key role in how well they are transported through the circulatory system and absorbed by the aqueous microenvironment of the cells. 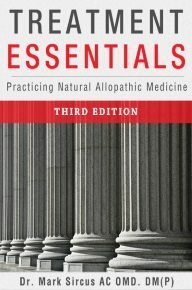 When we look at the attributes of unprocessed sea salt and sea water products like concentrated sea minerals, magnesium chloride brines, and pure sea water itself (which is sold in hypertonic and isotonic forms) we see miracle medicines that will prevent hypertension, heart diseases and stroke! If common table salt was banned and replaced with real salt we would have a dramatic improvement in the publics’ health because of the re-mineralization properties of real sea salt with all the minerals left intact. No science can hope to compete with the minerals of sea water. They are extremely bioavaliable which is the significant reason sea water derived minerals are the absolute best way to supplement. Our special needs for certain minerals like selenium, zinc and other minerals needed in increased quantities and concentrations have to be supplemented in other ways. • act as ionized conductors of the body’s electrical current, which is necessary for all bodily functions. • act as catalysts and activators of other nutrients including vitamins. • are the building blocks of enzymes, hormones and other natural body chemicals used by the body to perform specific functions. • have an equalizing and balancing effect. Body fluids, fluid pressures, and pH levels are balanced by minerals. • Are essential in digestion and absorption of nutrients by our body. When dietary deficiency of trace elements occurs, cells lose the ability to control their ions with dire consequences for cell physiology. Even a minute loss of ion equilibrium causes cells to burst, nervous disorder, brain damage, or muscle spasms, as well as a breakdown of the cell-regenerating process and growth. In the theory of acid and alkaline balance, for example, chronic disease such as cancer is caused by the acidification of the blood, lymph and all cellular tissues. Minerals from the sea provide a deep reservoir of strength that allows us to walk erect, gain intelligence, and remain totally free. They provide the key to the proper breakdown of plant carbohydrates into useable and absorbable human food. Only when all the minerals are present can saliva and gastric secretions readily break down the fibrous store of carbohydrates. Children suffer behavioral and learning disorders when their diets are deficient in vital nutrients needed for their brains to function normally. Minerals and Omega-3 fatty acids will work together to effect dramatic improvements no allopathic medicine can compete with. In ancient times, salt was used to treat major physical and mental disturbances, severe burns, and other ailments. Today biologists attest that seawater restores hydro-electrolytic imbalances, a disorder that causes loss of immune response, creates allergies, and causes many health problems. The therapeutic effect of seawater is recognized and used by many European medical professionals because of its effectiveness in so many situations. Why? Because the vast array of minerals present in both the salt and sea water provide the body exactly what he needs to heal itself. Minerals and trace minerals, in balance, can serve additional non-classical roles like acting as antioxidants. Nothing is more basic to health and nothing is more important to understand in medical practice. It is an unfortunate tragedy that allopathic doctors have no notion of this and an act of outright terrorism that the medical industrial complex does not want anyone to know this. For all the billions of dollars of research they put into modern pharmaceuticals they will never come up with drugs that have the healing power and safety of sea minerals. During World War II, Navy doctors would use sea salt water for blood transfusions when blood supplies ran out and many lives were saved. In 1904 Dr. René Quinton Quinton published his treatise, Seawater, Organic Matrix. 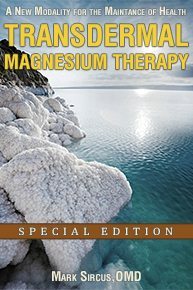 This book demonstrated, through years of laboratory research, that human blood plasma and extra-cellular fluids were virtually identical in mineral salt make-up to isotonic marine plasma. Everything in the human body responds to the condition of our extra-cellular fluid – the “sea aquarium” or “marine terrain” as René Quinton often referred to it. It is the microcosm of the sea itself. When you restore the quality of this internal sea aquarium to its original marine inheritance, every cell, organ, and tissue begins to respond and function as it was intended. Quinton is the father of the medical use of seawater and his work is being carried out to the present day. Interrelationships of minerals and trace minerals in their non-soluble form are not nearly as effective as those of soluble minerals. Minerals found in sea water products are completely soluble. Minerals provide the spark for many of the body’s cellular processes and keep them running efficiently. Without these finely-tuned chemical reactions no organism can function. Inorganic mineral nutrients are also essential in the structural composition of hard and soft body tissues and are necessary in processes such as the action of enzyme systems, the contraction of muscles, nerve reactions and the clotting of blood. Humans need a wide range of minerals to maintain good health and we need them in the right amounts and relations to each other (co-action). Small variations in established minerals levels can cause pathological states to occur. Our body relies on ionic minerals and trace minerals to conduct and generate billions of tiny electrical impulses every second of our existence. Mineral nutrients consist of two classes: the major elements such as calcium, phosphorus, magnesium, iron, iodine, and potassium; and trace elements such as copper, cobalt, manganese, fluorine, zinc and many others. All of these must be supplied in our diet because the body is unable to manufacture its own, and can only maintain its mineral balance for short periods of time. When the intake of minerals in our system becomes depleted, it draws from stores laid down in the muscles, the liver and bones. Certain minerals have special effects and can be used as powerful medical agents. The most alkaline mineral cesium is able to enter cancer cells. Its strong alkalinity causes the ph within the cell to rise to values of 8 or higher because it affects ph more than the weak acid (lactic acid) within the cancer cell. In the very alkaline state cancer cells can survive for only a few days or less depending on the degree of alkalinity present in the cancer cell. No matter what the nutritional potential of a food, that nutrition is nonexistent if it does not pass the test of absorption. Minerals that your body is unable to break down to their ionic form are likely to pass from the body completely unassimilated, as though they were never consumed. When minerals from the sea are used in liquid form we are assured of the highest rates of absorption. Fatty acids are essential for our cells to function normally and stay alive. The cell membranes allow the passage of necessary minerals and molecules in and out of our cells. Healthy cell membranes discourage dangerous chemicals and organisms like bacteria, viruses, moulds and parasites from entering the cell. These membranes also maintain chemical receptor sites for hormones, the body’s crucial messengers. Fatty acids are involved in countless chemical processes in our bodies and are used as building blocks for certain hormones. Two types of fatty acids – omega-3 and omega-6 – cannot be made by our bodies and therefore must be obtained through our diets. They are called “essential fatty acids” (EFAs), and if we have an adequate supply we can use these EFAs to manufacture the other fatty acids we need.